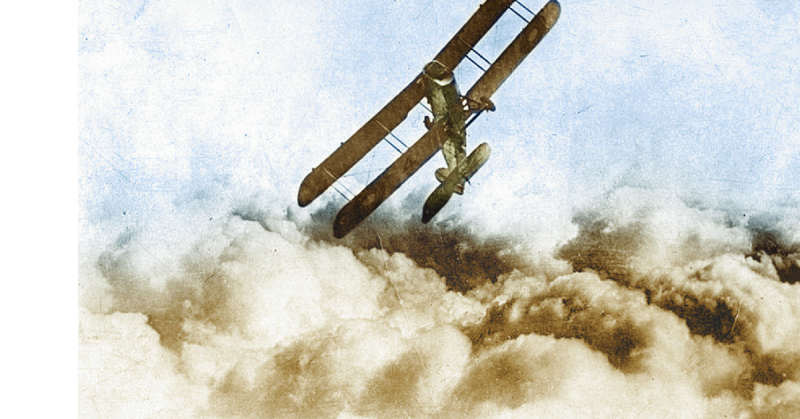 On a cold October day in World War One Europe, two United States Marines took off into the sky for a strike against an enemy ammunition depot near Pitthan, Belgium. 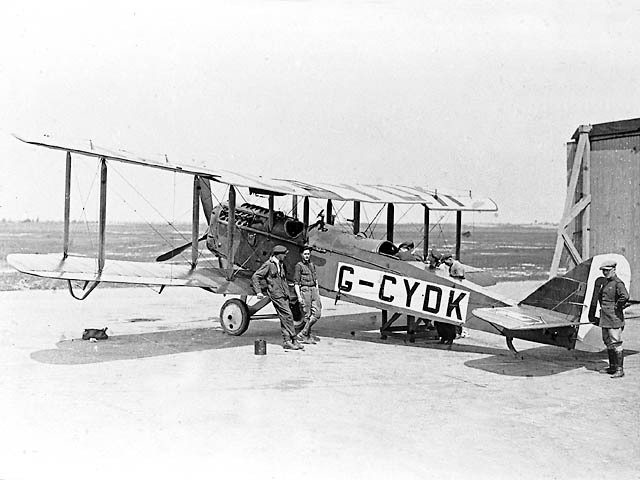 By the time the Airco DH.4 aircraft landed, one Marine had one arm hanging by a single tendon. The other miraculously landed without a scratch. Both, however, landed as the nation’s newest recipients of the highest military honor for their actions. 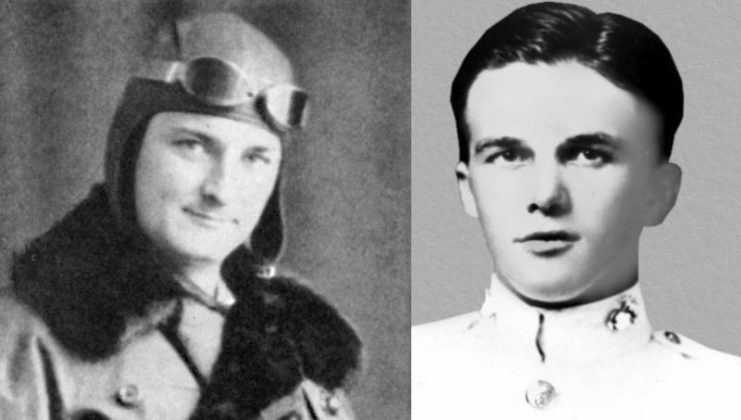 Pilot Ralph Talbot and observer Robert G. Robinson were United States Marines determined to build on the Corps’s long history of gallantry and predisposition to action. 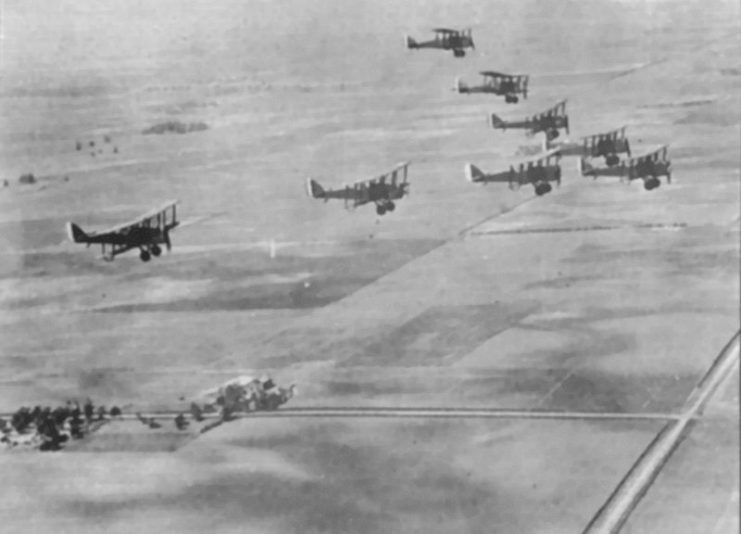 When they found themselves confronted by twelve German scout planes, they took action. With determined skill, Talbot piloted the craft through the flurry of enemy fire. Due to the sheer volume of fire, several rounds found their mark on observer Robinson as he fired his machine gun back at them. After shooting down one enemy plane, Robinson took a round to the elbow that nearly severed his arm save one tendon. Undaunted, he continued the fight. Realizing the severity of the situation, Talbot then evaded the rest of the enemy and landed at the nearest hospital to save his fellow Marine. For their actions, despite being outnumbered twelve to one, both men received the Medal of Honor. Robert Robinson was the oldest of the two heroes, having been born in 1896 in Wayne, Michigan. Less than a year later, in South Weymouth, Massachusetts, Ralph Talbot was born, setting the two men up for a remarkable rendezvous with military history. Robinson, who would be the observer on the plane, enlisted in the United States Marines as a private in 1917 as the United States was thrust into the Great War. Talbot took a more indirect path to his future as a Leatherneck. Talbot was an academically and athletically gifted individual who found his way into Yale University. Whilst there, he served with the Artillery Training Corps before falling in love with aviation. 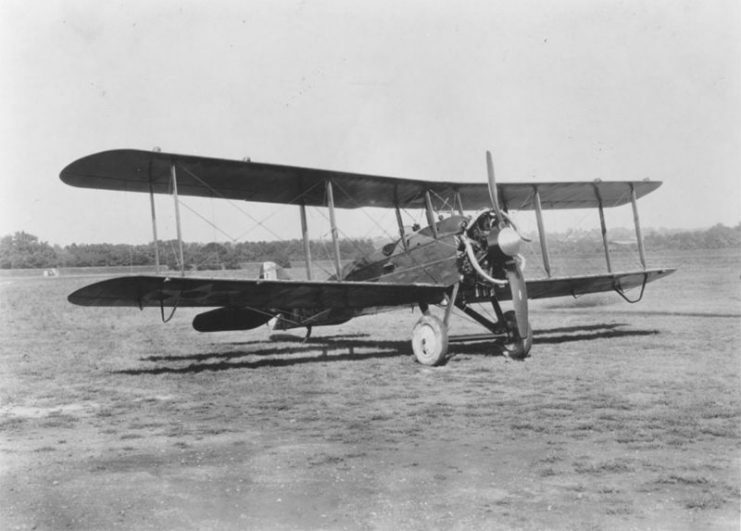 In October of 1917, he joined the Navy and instantly began training to become a Naval Aviator. Having accomplished his goal, his only problem was to figure out how to get into the fight over in Europe. As it turns out, the Marine Corps was having some difficulties recruiting aviators. Believing this would be his best path to combat, he resigned from the Navy and accepted a commission as a 2nd Lieutenant in the Marine Corps. 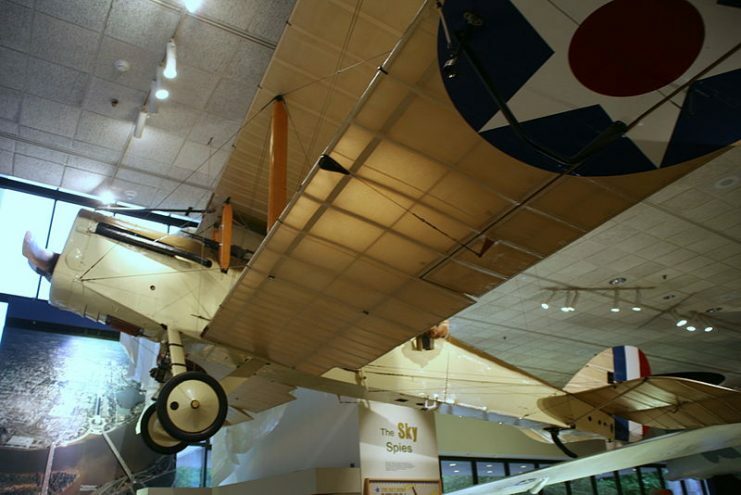 While the Marines would make a name for themselves in the forests of Belleau Wood, Talbot and Robinson would add to the Corps’ storied legacy in the skies over Belgium. While their paths to the Marine Corps were different, the two Marines seemed like a perfect pair. By the time they linked up for their gallant stand, the two were already experienced veterans who had participated in multiple sorties. On October 8, 1918, Talbot and Robinson were en route to attack an enemy ammunition depot over Pitthan. Unfortunately, mechanical problems began to emerge and the pair found themselves detached from the main group. It was then that twelve enemy scouts took note of their wounded state and swooped in to attack. In the fight that ensued, Robinson was able to gain the first strike by taking down an enemy fighter with his machine gun. It was then that his gun jammed. To make matters worse, he then took a direct hit to his elbow which nearly severed his entire arm. Were it not for the one tendon that held on, his arm would have been lost. 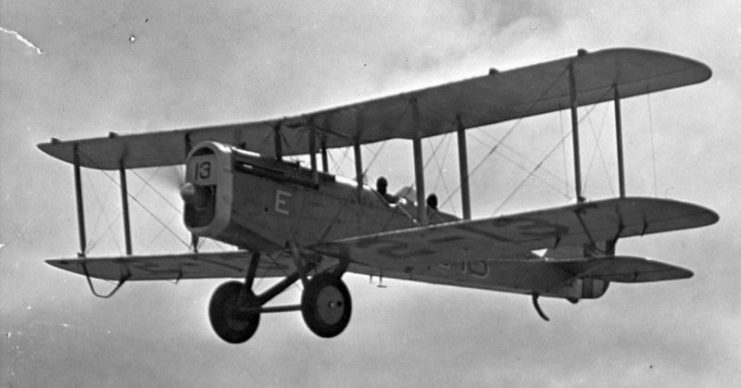 Talbot maneuvered his DeHavilland aircraft to gain time for the wounded Marine to clear the jam. Despite his severe injuries, Robinson and his gun were back in action. Continuing to fire as Talbot masterfully piloted the craft, it was only when additional rounds tore into Robinson’s stomach and legs that he collapsed from the fight. Talbot continued the fight as he shot down one more aircraft before his attention turned to his fellow Marine. Swooping down out of the action, Talbot flew just 50 feet above the German trenches as he raced to bring his friend to aid. Landing at the closest hospital, Talbot unloaded Robinson and then immediately returned to the action. For their actions, that day, both Ralph Talbot and Robert Robinson became recipients of the nation’s highest military honor. Remarkably, Robinson survived his near-mortal wounds. A remarkable Belgian doctor was somehow able to save his arm and he went on to live a long and fruitful life. It was only when the passage of time caught up with him that he passed away in 1978. His pilot, however, was not so fortunate. United States Department of the Navy Medal of Honor used from 1913 to 1942. Less than a month after the action that made him a Marine Corps legend, Ralph Talbot was taking off on an engine test flight at La Fresne aerodrome. It would appear that the mechanical problems that almost got him killed during his gallant action were not done with him. Talbot’s plane crashed on takeoff, killing the Medal of Honor recipient. His award was posthumous, but it did nothing to diminish the hallowed place he had already earned in Marine Corps history: two Marines, one plane, and one gallant action resulting in the Medal of Honor for two worthy men.